We believe in a Good God who does only good things for His children! 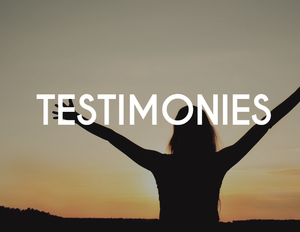 Read our page of testimonies from members of our congregation and let your faith be inspired to believe God for your miracle! From Bible studies, prayer groups or fun activities, intimate small groups are a great way to develop lasting friendships & share the love of Jesus Christ outside the church building. See our Calendar for dates and locations! We love our kids! Every Sunday God's Word is taught through a fun, loving, atmosphere through skits, crafts, music, and many other hands on experiences. Mini training seminars that practically equip couples to have success in their marriage and heaven in their homes - Stay tuned for our next Marriage Matters event! Victory life believes in "going into all the world." Our support includes the translation of books into Chinese for China & Taiwan, and ministries in Haiti, Israel, and Japan.